We work hard to pass driving tests and within a very short time our driving licence becomes essential to our way of life. The ability to drive is, for many of us, integral to both our business and personal lives. Yet, it is all too easy to lose a driving licence even for a single offence. All motoring offences endorseable with penalty points carry with them the potential for the imposition of a driving disqualification. For example, speeding offences are endorseable with between 3-6 penalty points. 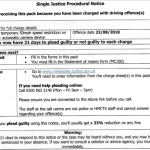 Depending on the extent by which a limit has been exceeded a court can, and often does, disqualify a motorist even for a first offence (in which case no penalty points are endorsed). However, the consequences of a driving ban can be severe ranging from embarrassment to loss of employment. In turn this can result in a sharp drop in income with harm spilling over into one’s personal life. As if all that weren’t enough even a short ban can sometimes result in steeply increased insurance fees for years to come. So, what can be done? At Kent Traffic Law we specialise in saving driving licences. We can advise you how to prepare for court either to contest an allegation (ie plead ‘Not Guilty’) and seek to avoid a conviction, or, to admit an offence (ie plead ‘Guilty’) and seek to mitigate in order to minimise the length of, or even avoid, a ban. If you contact us we will advise you of your options and help you to optimise your chance of saving your driving licence. If your points tally reaches 12 or more for offences committed within 3 years of each other you will be liable for a ‘totting’ disqualification. This means that, unless you can establish that you would suffer from ‘exceptional hardship,’ you will be banned for a minimum of 6 months. ‘Exceptional hardship’ is a concept defined by case law (previous court cases). Sadly, due to the proliferation of speed cameras, ‘totting’ disqualifications are becoming more and more frequent. If you find yourself facing a ‘totting’ ban we can advise you whether your case could fall within the bracket of ‘exceptional hardship’. It is not just a case of carefully considering your circumstances – we will also need to advise you what evidence you will need to prove to a court that your case is a worthy one. Next it is essential to put your case across in court as persuasively as possible. We find that specialising in this field enables us to obtain excellent results for our clients. There are a range of offences which result in mandatory bans such as driving with excess alcohol and drug driving. Such offences also carry with them the potential for large fines or even prison sentences. 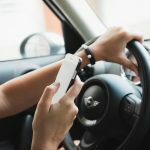 In such cases Magistrates have a very broad discretion as to whether to ban a motorist for the minimum period or for much longer and whether to impose fines or even send someone to prison. The sanctions available to the courts are severe. We know how best to put your case across in court whether you seek to plead ‘Guilty’ and avoid a ban or, ‘Not Guilty’, and avoid a conviction. Anyone disqualified from driving for a period in excess of 2 years can apply for the early removal of the ban (subject to certain conditions). Anyone who has been banned for 2 years or less cannot; in this case the motorist can consider appealing to a higher court against the length of the ban. Applications for early removal are normally made to the court which imposed the ban (either the Magistrates’ Court or the Crown Court). The court may, if it thinks proper having regard to the applicant’s character, his conduct subsequent to his conviction, the nature of the offence and any other circumstances of the case, remove the disqualification. The court must either remove the disqualification or refuse the application altogether; a disqualification cannot be varied but a court may remove the disqualification “from such date as may be specified in the order”. Where an application is refused a further application may be made after a further 3 month period has elapsed. So, if you have been banned for over 2 years and need your driving licence back early contact us for initial advice as to the merits of your case. 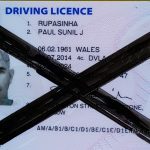 Kent Traffic Law has been set up by Sunil Rupasinha, a barrister. He is a member of the Honourable Society of the Inner Temple. His practice is regulated by the Bar Standards Board and he is bound by the Code of Conduct for barristers. He has full professional insurance and is qualified to practice on a ‘direct’ or ‘public access’ basis. This practice is registered with the Information Commissioner’s Office, registration number Z1134882. Are you at risk of losing your driving licence? Have you received a Single Justice Procedural Notice for Speeding?